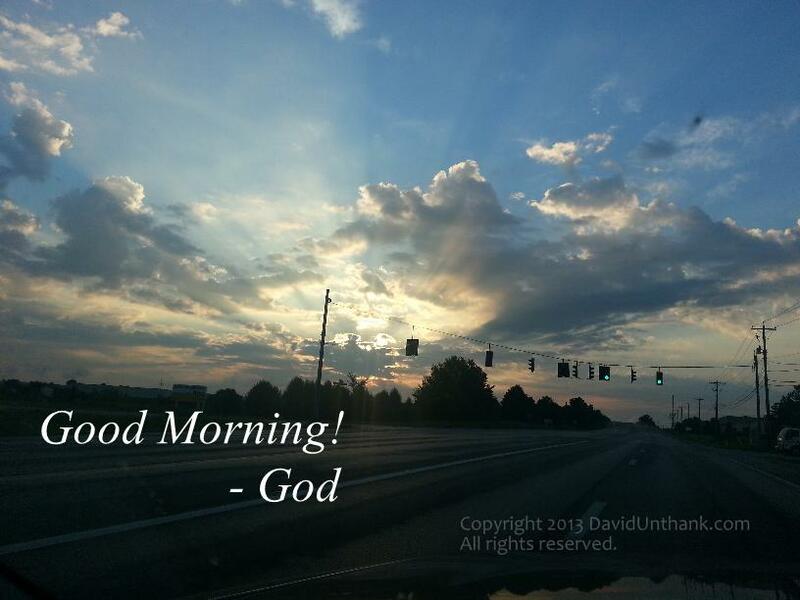 Some days, we get up and say, "Good Morning, God!" Other days we're not so cheery. Then there are days like today, when God says "Good Morning!" The heavens are telling of the glory of God; and their expanse is declaring the work of His hands. (Psalm 19:1) Great thought, David. Thanks for sharing.